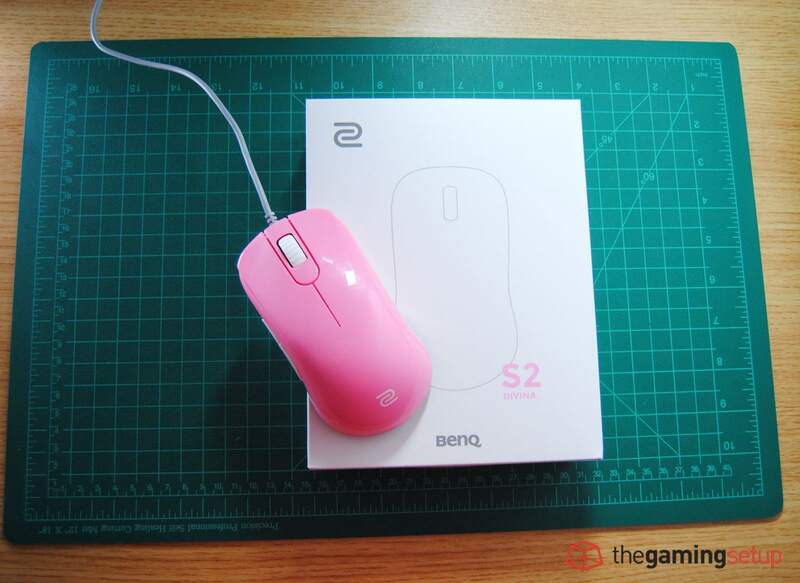 The Zowie Divina S series is the newest mouse to come out from the folks at Benq, and it’s definitely a winning shape. 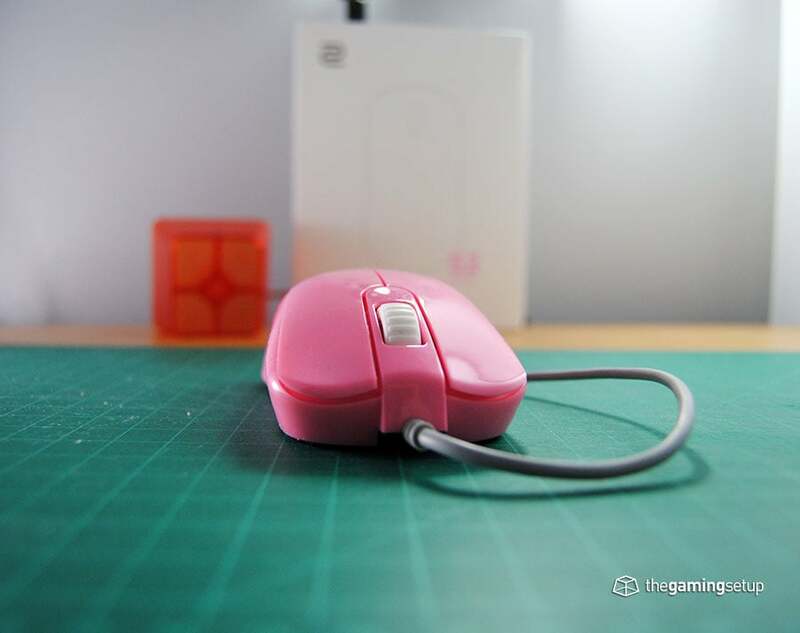 The mouse is a new great safe shape that is suitable for a lot gamers, a slightly higher bump, a shorter length, and a wider width in comparison the Zowie FK series. 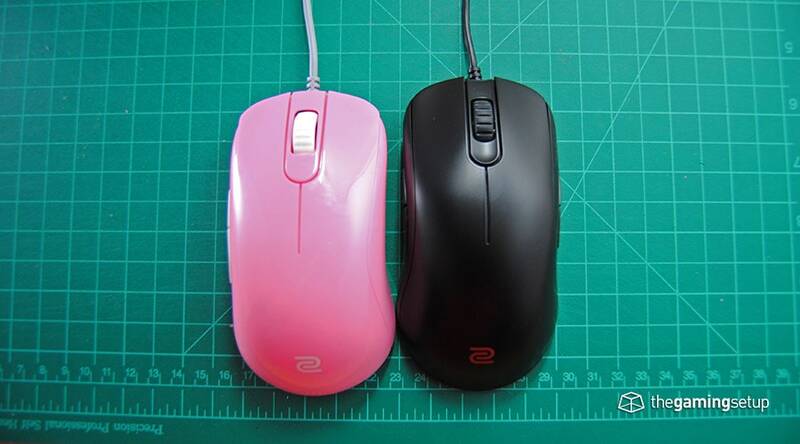 The Zowie S2 comes in two colour choices, baby blue and pink, and two sizes. The combination of shape, feel and price makes the S series poised to be a best mouse contender if you’re considering a no-frills ambidextrous mouse. Looks like Zowie has another winning shape on their hands. 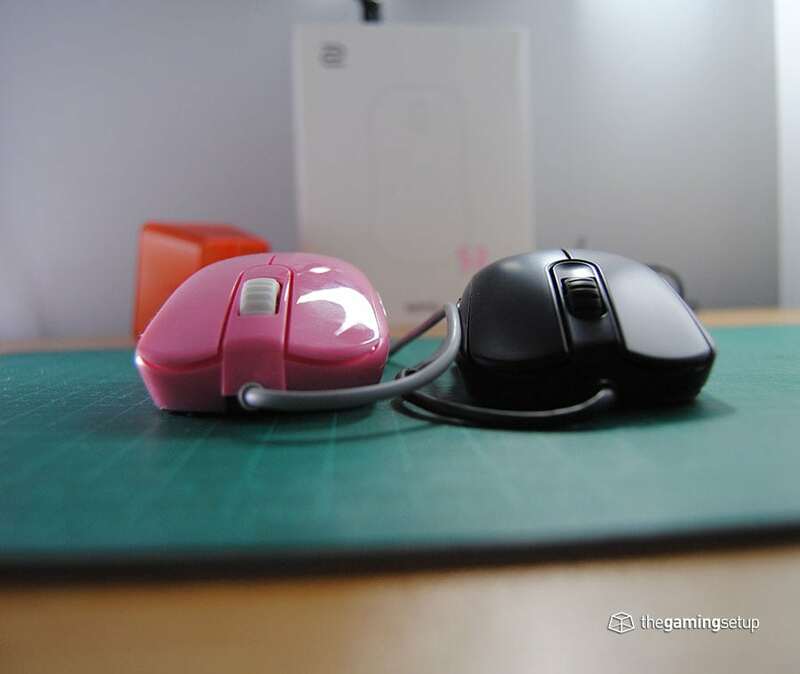 The most apt comparison I can make for this mouse is that its a wider, slighty taller and shorter in length when compared Zowie FK series. 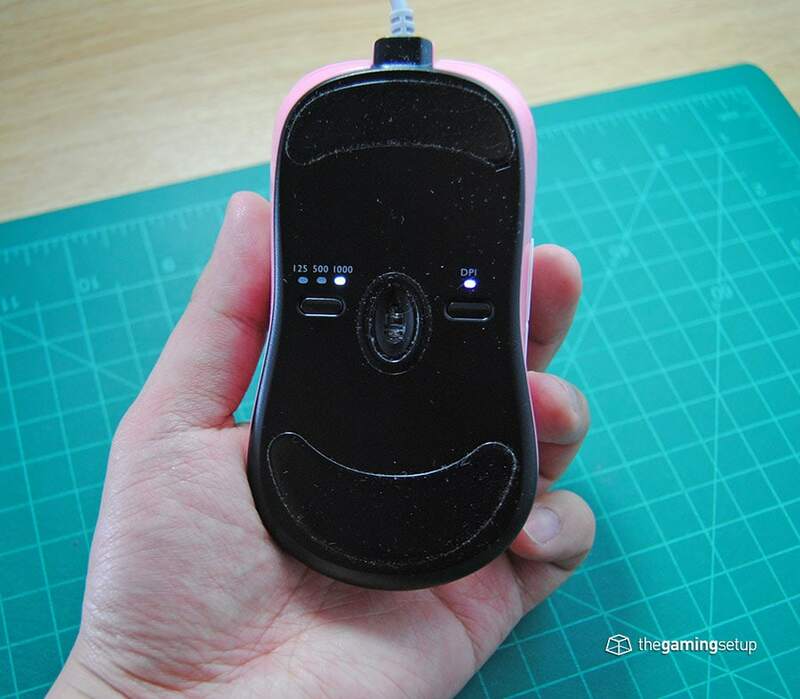 The hump and slope towards the front of the mouse are slightly toned down from the FK series. What all this nets out to is a slightly larger mouse for people who found the FK shapes a little too narrow for their hands. The buttons and sides have slight grooves for grip and comfort, this is a very safe shape that should work for most grips provided the proper hand size, it feels great in both palm and claw grip. The S Divina line is definitely one of the more comfortable ambidextrous mice I’ve used. Build quality of the mouse seems okay, the S1 weights 87 grams while the S2 comes in at 82 grams. The sides of the mouse have a slight give when squeezed, but not to a concerning level. No rattles, or creaks when pressing or shaking the mouse, very solidly put together. Perhaps the most unique thing about the mouse is its glossy plastic coating . This is going to come up to a bit of a personal choice, but I’m not personally a fan of the glossy coating, I find my hands tend to clam up a little bit more compared to a matte finish like the one found on the G305 for example. 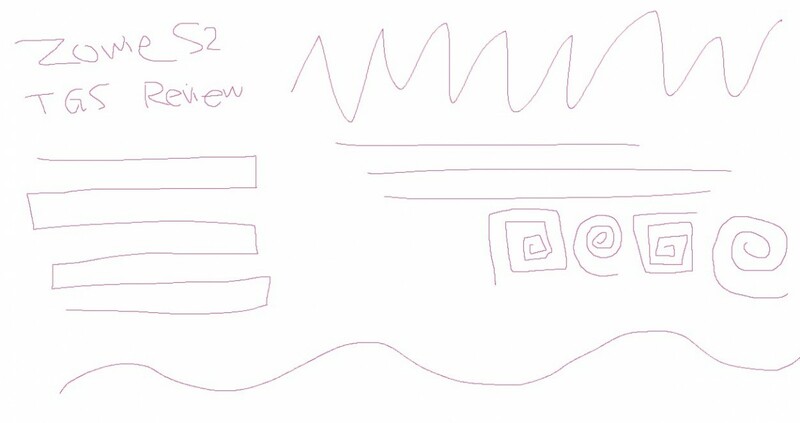 Right now the S2 is available in pink and blue colours, no word if there are going to be black and white variants soon. I’ve also been finding some build up on the glossy exterior that doesn’t seem to happen on a slicker matte surface, but maybe my hands are just little too cruddy for the Divina line, I’ve been having to clean the mouse very regularly. The bottom of the mouse features two large feet, 1 in the front and 1 at the back which is pretty much exactly the same as the FK series. I haven’t found much issue with the feet, the mouse glides as expected and is comparable to a bunch of other mice we’ve tested. The buttons on the Zowie S2 are the best you’re going to find on a Zowie mouse. Zowie has made the clicks lighter with more bounce compared to the FK and EC series. The S series should have no issues with any types of games, these buttons are going to perform very well for FPS, MOBAs and any other game you want to throw at it. While the S2 buttons are great buttons, the G305 still holds the title for the best over mouse buttons. 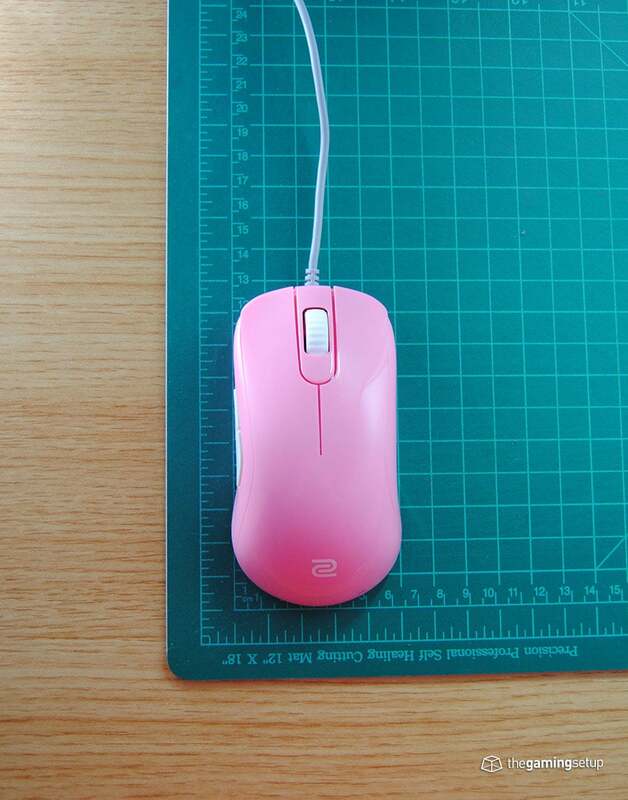 The middle click button feels solidly built, has good tension and travel. 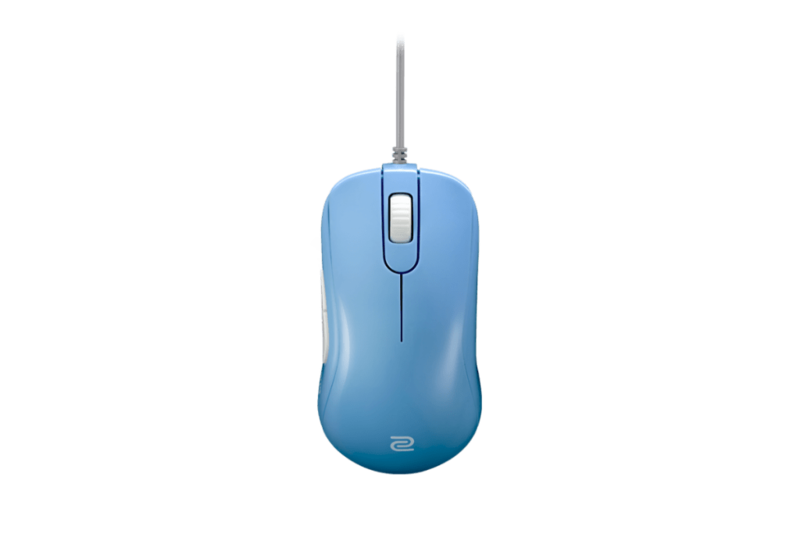 The Zowie S series might be a good mouse for Apex Legends giving the necessity to ping in that game. The scroll wheel itself on the S2 and all Zowie mice is still my least favourite of the mice I’ve reviewed, huge chunky and steps and just annoyingly loud. The Pixart PMW 3360 sensor performs as you would expect, smooth consistent tracking with no acceleration or prediction with a low lift off distance. The angled cable lifting the cord off of the surface and reducing drag. The cable on the mouse is a soft rubber and has a really unique design, it’s slightly angled up coming out of the mouse so that the cable doesn’t drag very much against your surface. Combine the cable with a relatively low weight in the 80 gram range and a comfortable shape and you have a good mouse for performance in the Zowie S mice. Like with all other Zowie mice, no software, there are two buttons on the bottom of the mouse that let you set DPI and polling rate. This is a contender for a top mouse spot if you don’t mind the glossy coating and the loud scroll wheel. Zowie has a winning shape here and they’ve paired it with a battle-tested sensor, improved on their buttons and have put all of it in a fairly affordable (for gaming products) package.